Have you thought to yourself that the Climate Change movement seems more and more like a religious movement? The authority of Climate Change leaders is entirely unmerited and absolute, yet no one is permitted to hold them accountable for their ignorance, inexperience, or brazen lies. Thus, the Climate Change movement clearly meets the first warning sign for unsafe groups. The conclusions of the Climate Change movement may not be challenged or questioned under any circumstances. Those who dare scrutinize the conclusions, methodology, or prescriptions of “climate scientists” are categorically dismissed as a “Climate Denier”, an excommunicated untouchable whose opinion is no longer valid on any subject. Questions and critical inquiry aren’t merely dismissed or refuted. The unfortunate heretic immediately experiences a relentless ad hominem onslaught of scorn and hatred from the political and media left, and is often subjected to accusations of outright murder. Simply question the effectiveness of a “carbon tax” and you may find yourself tied to a stake. There is no tolerance for questioning the Climate Change movement, and thus it clearly meets the second warning sign for unsafe groups. Hardly anyone knows just how much money is spent on “Climate research” every year. The cost is spread out among laughably useless study grants, wind and solar farm subsidies, carbon offset credits, “green” building code evaluation and enforcement, salaries for bureaucrats solely dedicated to “climate concerns”...you get the idea, it’s a lot of hazy money. The abhorrent practice of “sue and settle” was a flat out money laundering scheme that allowed sympathetic government officials to transfer millions of tax dollars to radical leftist environmental groups. The practice only ended when the Trump administration used executive power to clamp down on it. The total amount of yearly financial expenditure on the Climate Change movement is vague, difficult to track, and often carried out in unethical manners. Thus, the Climate Change movement exhibits the third warning sign for unsafe groups. This one is pretty obvious. The Climate Change movement always shouts out revised and updated apocalypse predictions, eerily reminiscent of the stereotypical bum on the sidewalk with that “The End Is Near” sign. “The world will end in X years if we don’t do X” is the constant refrain. The years always pass, and the apocalypse never happens. Interestingly, this is a characteristic of multiple religious cults (such as the Seekers of Chicago, and the Order of the Solar Temple). At the moment, we apparently have 12 years to nationalize the entire economy and phase out fossil fuels before we all die a fiery death. There’s also no shortage of conspiracy theories about who they consider to be Earth’s greatest saboteurs. They have an enemies list. The fossil fuel industry is at the top of it, with widespread tinfoil hat theories about oil companies burying patents for efficient renewable fuel recipes to keep us all guzzling gasoline. The “repent or burn” doomsday preaching is the most well-known staple of the Climate Change movement, and quite clearly exemplifies the fourth warning sign for unsafe groups. Climate alarmists who leave, step back from, or even lightly criticize the movement are immediately subjected to vicious smear campaigns. Dutch professor Richard Tol experienced this phenomenon firsthand when he removed his name from an IPCC climate report and criticized the reports excessively apocalyptic predictions. The treatment of Professor Tol is not uncommon, and clearly demonstrates that the Climate Change movement exhibits the fifth warning sign for unsafe groups. Professor Tol is not an anomaly. Dr. Richard Lindzen of MIT, Dr. Nils-Axel Morner, and countless other former IPCC in-crowd climate experts were subjected to smear campaigns from their colleagues and the news media for the crime of throwing cold water on the outlandish predictions of the Climate Change movement. This pattern is all too familiar to anyone who has studied what happens to individuals who leave the Church of Scientology, and clearly meets the sixth warning sign for unsafe groups. The abuses of the Climate Change movement are loud and proud. They vociferously attack their perceived enemies for public consumption, and are cheered on by fellow travelers in the journalism class. Most recently they brainwashed a bunch of kids and marched them into an octogenarian Democrat Senator’s office to beg not to be murdered by a ‘No’ vote on impossible legislation. Have you seen those kids in Diane Feinstein’s office? You should, it’s creepy, here they are. These tantrums and protests aren’t only meant to rally supporters of the Climate Change movement. They are a form of intimidation, a tactic used to silence those who question the gospel. There is ample evidence that the Climate Change movement meets the seventh warning sign of an unsafe group. 8. Followers feel they can never be “good enough”. The atonement process for Climate warriors always demands more. It started with using a recycling bin and grocery bags. Now, in 2019, being a good follower means imposing veganism on the masses and issuing fatwahs against innocuous objects such as plastic straws and grocery bags. Despite all the efforts of the faithful, Climate minions maintain a constant state of dread and despair, knowing they can never truly do enough to stop the coming doom. Clearly, the eighth warning sign for unsafe groups applies to the Climate Change movement. When have the climate leaders been called wrong for their failed predictions? Regardless of the weather, they are always intrinsically correct. Flood? Climate Change. Drought? Climate Change. No Snow? Climate Change. Too much snow? Climate Change. Tornado? Climate Change. Hurricane? Climate Change. Lack of hurricanes? Climate Change. If a skeptic points out the window during a blizzard, the same acolytes will simply cry “Weather isn’t climate!” It’s a game they can never lose, one in which they are never wrong and always right. Thus, the ninth warning sign for unsafe groups clearly applies. 10. The group/leader is the exclusive means of knowing “truth” or receiving validation, no other process of discovery is really acceptable or credible. The path to discovery for the Climate Change movement is an intentionally vague discipline referred to as “climate science”. Did you carry out a study on gender and glaciers? Climate Science. Did you think up the worst possible scenarios that have no actual chance of happening (actual portion of latest National Climate Assessment)? Climate Science. Any “science” that confirms the tenets of the Climate Change movement is deemed “climate science”, while actual scientific research that disputes their conclusions is derided as “denialism”. The tenth warning sign for unsafe groups is clearly met. According to the established, scientific guidelines developed by cult experts, the Climate Change movement fits the bill for a potentially unsafe group. When I looked up these established warning signs, I honestly expected Climate Changeists to meet two or three of them, NOT TEN! The disturbingly religious nature of this supposedly “scientific” movement should alarm any thinking human being, especially since the movement now openly seeks to nationalize the entire economy. It’s time for conservatives to realize what they are dealing with, and act accordingly. Rather than debating Climate Change activists, it may be time to start staging interventions. If someone you know is a member of the Climate Change Movement, and you are interested in intervention strategies, please visit. See also CO2 Derangement Syndrome here. By Allan M.R. MacRae, B.A.Sc., M.Eng. *Taking decisive actions that incurred significant personal risks when staff at the Mazeppa sour gas project were afraid to act, which may have saved up to 300,000 lives in Calgary. For brevity, I have not included in this treatise all the details and references that support my statements. For the record, I have two engineering degrees related to the earth sciences, have worked on six continents, and have diligently studied the subject fields since 1985. In the late 1960s I was a member of an environmental group at Queens University, Kingston, Ontario, which predated Greenpeace. We focused on real air, water and soil pollution, which was largely cleaned up by the 1980’s and 1990’s. APEGA refused to discuss the evidence, and baselessly claimed the moral high ground. * Properly allocated, a fraction of the trillions of dollars squandered on green energy schemes could have installed clean drinking water and sanitation systems into every community on the planet, saving the lives of many tens of millions of children and adults; the remaining funds could have significantly reduced deaths from malaria and malnutrition; Source: Global Crises, Global Solutions, The 1st Copenhagen Consensus, edited by Bjorn Lomborg, 2004, Cambridge University Press, Cambridge, UK, 648 pp. * Huge areas of agricultural land have been diverted from growing food to biofuels production, driving up food costs and causing hunger among the world’s poorest people. 3. There is NO credible scientific evidence that climate is highly sensitive to increasing atmospheric CO2, and ample evidence to the contrary. Many scientific observations demonstrate that both these statements are correct-to-date. The current usage of the term “climate change” is vague and the definition is routinely changed in the literature, such that it has become a non-falsifiable hypothesis. It is therefore non-scientific nonsense. Climate has always changed. Current climate is not unusual and is beneficial to humanity and the environment. Earth is in a ~10,000 year warm period during a ~100,000 year cycle of global ice ages. The term “catastrophic human-made global warming” is a falsifiable hypothesis, and it was falsified decades ago - when fossil fuel combustion and atmospheric CO2 increased sharply after ~1940, while global temperature cooled from ~1945 to ~1977. Also, there is no credible evidence that weather is becoming more chaotic - both hurricanes and tornadoes are at multi-decade low levels of activity. Even if all the observed global warming were to be ascribed to increasing atmospheric CO2, the calculated maximum climate sensitivity to a hypothetical doubling of atmospheric CO2 is only about (here, here), which is not enough to produce dangerous global warming. Climate computer models cited by the IPCC and other climate activists employ much higher assumed sensitivity values that create false alarm. The ability to predict is perhaps the most objective measure of scientific competence. All the scary predictions by climate activists of dangerous global warming and wilder weather have proven false-to-date - a perfectly negative predictive track record. Based on current knowledge, the only significant impact of increasing atmospheric CO2 is greatly increased plant and crop yields, and possibly some minor beneficial warming of climate. 4. Humanity needs modern energy to survive, to grow and transport our food and provide shelter, warmth and ~everything we need to live. Green energy schemes have been costly failures. Fully ~85% of global primary energy is from fossil fuels --oil, coal and natural gas. The remaining ~15% is almost all nuclear and hydro. 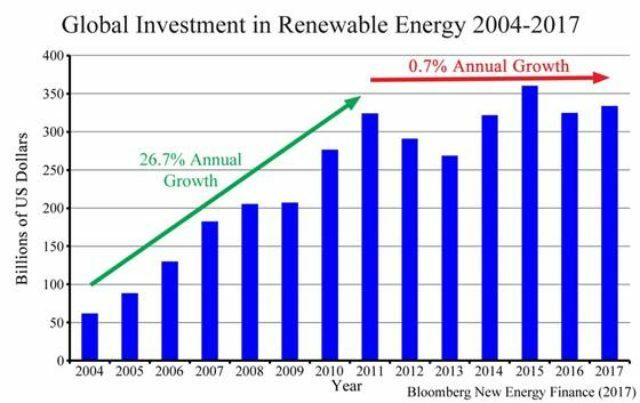 Green energy has increased from above 1% to less than 2%, despite many trillions of dollars in wasted subsidies. The 85% fossil fuels component is essentially unchanged in past decades, and is unlikely to significantly change in future decades. The fatal flaw of grid-connected green energy is that it is not green and produces little useful (dispatchable) energy, primarily due to intermittency - the wind does not blow all the time, and the Sun shines only part of the day. Intermittent grid-connected green energy requires almost 100% backup ("spinning reserve") from conventional energy sources. Renewable wind and solar electrical generation schemes typically do not even significantly reduce CO2 emissions - all they do is increase energy costs. Claims that grid-scale energy storage will solve the intermittency problem have proven false to date. The only proven grid-scale “super-battery” is pumped storage, and suitable sites are rare - Alberta is bigger than many countries, and has no sites suitable for grid-scale pumped storage systems (link). 5. The trillions of dollars of scarce global resources wasted on global warming hysteria, anti-fossil fuel fanaticism and green energy schemes, properly deployed, could have improved and saved many lives. About two million children below the age of five die from contaminated water every year - about 70 million dead kids since the advent of global warming alarmism. Bjorn Lomborg estimates that a fraction of these squandered green energy funds could have put clean water and sanitation systems into every community in the world. Waste of funds and loss of opportunity due to global warming alarmism and green energy nonsense have harmed people around the world. In North America and Europe, trillions of dollars have been wasted on grid-connected green energy schemes that have increased energy costs, increased winter mortality, and reduced the stability of vital electrical grids (link). In the developing world, the installation of electrical energy grids has been stalled for decades due to false global warming alarmism. Last winter England and Wales experienced over 50,000 excess winter deaths. That British per-capita excess winter death rate was ~three times the average excess winter death rate of the USA and Canada. Energy costs are much higher in Britain, due to radical green opposition to the fracking of gassy shales. The anti-oil-pipeline campaign has cost ~$120 billion dollars in lost oil revenues and destroyed ~200,000 jobs in Alberta and across Canada. This is an enormous financial and job loss for Canada(here, here). The funds wasted on baseless global warming hysteria, anti-fossil-fuel fanaticism and destructive green energy schemes, properly deployed, could have saved or improved the lives of many millions of people. 6. The conduct of climate activists has been destructive, deceitful and violent. Global warming alarmists have shouted down legitimate debate and committed deceitful and violent acts in support of their false cause. The Climategate emails provide irrefutable evidence of scientific collusion and fraudulent misconduct. Also see here. In Canada, skeptic climatologist Dr. Tim Ball and other skeptics have received threats, and buildings related to the energy industry including the Calgary Petroleum Club were firebombed. In the USA, skeptic scientists have had their homes invaded, and several highly competent skeptic scientists have been harassed and driven from their academic posts. * Destructive bird-and-bat-chopping wind power turbines. 8. Why are the radical greens so anti-environmental? Dr. Patrick Moore, a co-founder and Past-President of Greenpeace, provided the answer decades ago. Moore observed that Eco-Extremism is the new “false-front” for economic Marxists, who were discredited after the fall of the Soviet Union circa 1990 and took over the Green movement to further their political objectives. This is described in Moore’s essay, “Hard Choices for the Environmental Movement: written in 1994 - note especially “The Rise of Eco-Extremism” here. “ The extinction of the human species may not only be inevitable but a good thing.” Christopher Manes, Earth First! The evidence strongly supports my hypothesis that “Radical Greens are the Great Killers of Our Age”. The number of deaths and shattered lives caused by radical-green activism since ~1970 rivals the death tolls of the great killers of the 20th Century - Stalin, Hitler and Mao - they advocate similar extreme-left totalitarian policies and are indifferent to the resulting environmental damage and human suffering. The Noble Lie is a concept discussed by Plato in the dialogues, lies told by oligarchs to get the populace in the right frame of mind, deceptions intended to influence the mindset and behavior of the populace. The Noble Lie is not often noble; it is the tool of the totalitarian. Totalitarianism is built on the Noble Lie and the best evidence of it in modern society is political correctness and its accompanying censorship and intimidation of any speech or conduct that contradicts the Orwellian “good think” of the Noble Lie. So how is the Noble Lie promoted in the medical literature, you might ask. What subjects would possibly be a place where medical journals participate in the promotion of junk science in service to the totalitarian Noble Lie? The answer is that the administrative state needs and creates armies of experts to push their agenda and Noble Lie, so the academy and its journals are recruited - with money and rewards of power and position. Funding and research awards and the resulting academic advancements create dependents in academia. Name a leftist cause and without fail academic medical journals will enthusiastically and cooperatively publish those well-funded research reports and articles in support the leftist/ socialist position. Journals are the voice of the academy and the academy is the mouthpiece for the oligarchic government science advocacy intended to justify government actions. For many years I have been collecting research on the effect of warming on human health, counting on the help of Dr. Craig Idso (MS Agronomy, PhD Geography), an energetic researcher who is constantly scanning the scientific literature for research on climate then putting it up at his web site CO2 Science.Org in archives of articles. The Subject Index includes human health. Idso, Dunn and others have written extensive discussions on warming and human health, including chapter 9 in Climate Change Reconsidered (2009) and Chapter 7 in Climate Change Reconsidered II (2013), both published by Heartland Institute of Chicago. Our conclusions, supported by the medical research around the world studying rates of disease and death, are that warming will benefit human health and welfare, for obvious reasons—warm is easier on the plants and animals, so also humans. Lancet is a multi-faceted medical journal entity, iconic in medical history, founded in England in 1823, now with offices in London, New York and Beijing, publishing multiple specialty and general medical journals on line and in print. Lancet published in 2015 a long term and planet wide study of death impacts of hot and cold extreme or moderately extreme ambient temperatures, by Gasparinni and 22 other authors, 384 locations around the globe, 27 years studying 74 million deaths, and their results showed that cold and cooler ambient temperatures killed 17 times more people than warmer and hot temperatures. On November 1, 2017 Lancet published an article by a group it had created called the “Lancet Countdown on health and climate change,” and the 64 authors produced a 50 page paper with a 195 references that declares a global health crisis due to warming (Climate Change). Consider the contradiction. Warm is good, warm is deadly. Which will it be? Could the Lancet editors and the Countdown group they put together be in the bag for the warmer/climate change movement? Prepared to do what they can to promote claims that terrible things will happen to people because of warming? Could this be pushback on their enemy, the warming-skeptical Trump Administration, for leaving the Paris Climate Treaty? Lancet has been a political advocacy journal on many political issues for a long time. Should we expect medical journals to be politically neutral when the academy is extremely leftist/socialist in attitude? So you might say: “Well, OK, Lancet - British—they are leftist by habit, so no surprise, but here in America medical journals are more middle of the road, more impartial, less partisan.” Au Contraire. The NEJM and the JAMA are both dedicated to the leftist ideology—socialized medicine, environmentalism, all the political, social, sexual and cultural aspects of the leftist revolution. No room for dissent and disagreement, the medical journals pick their articles and the articles always display a leftist orientation, aggressively. Medical Journals do not entertain or publish ideas and comments by dissenters to the leftist canon. That is across the board on social and societal, political, medical, scientific issues. They keep alive, pursue and promote the Noble Lies of the left. John Dale Dunn MD JD is an emergency physician and inactive attorney, Medical Officer for the Brown County Texas Sheriff, Policy advisor to the Heartland Institute of Chicago and the American Council on Science and Health of New York City. 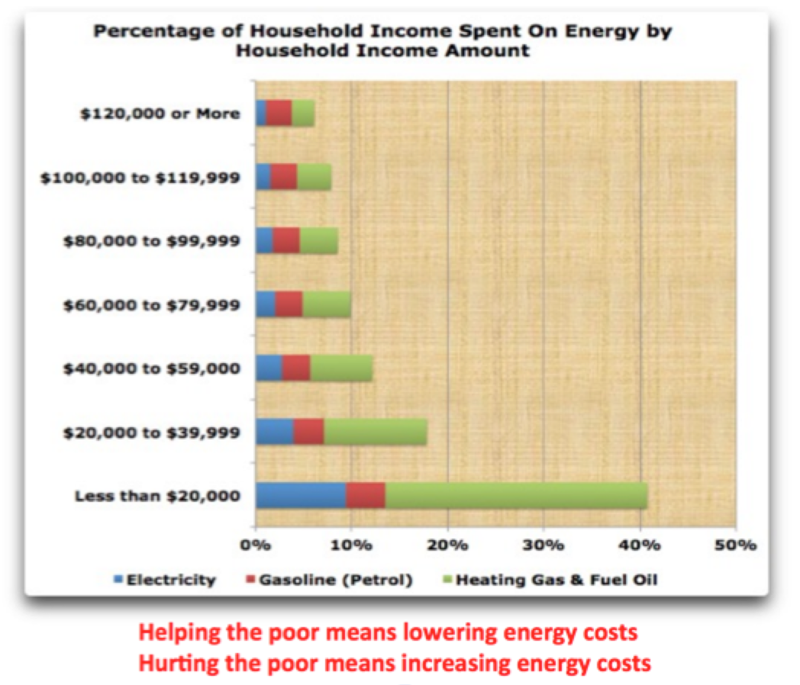 See how though the rich to whom the increased cost is pocket change can fly around the world in their private jets pushing people to deindustrialize and depopulate for the good of the planet, the families who earn less than $20,000/year already spend over 40% of their income on electricity, gasoline and gas/heating oil. 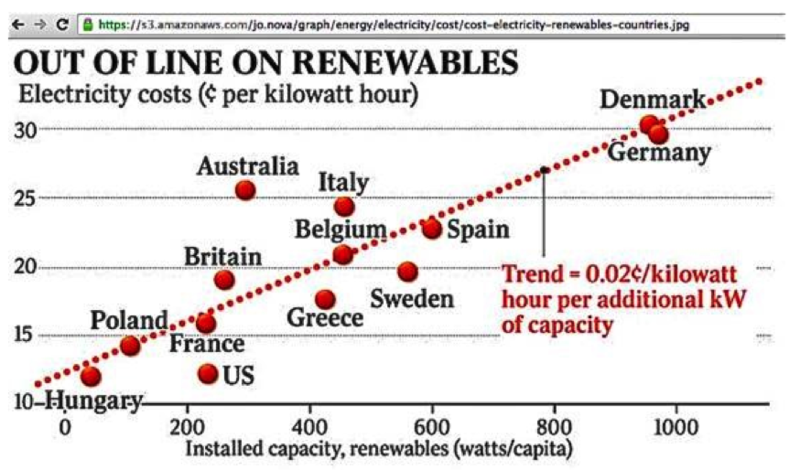 How could they afford the 100-250% increases the move to renewables will produce? 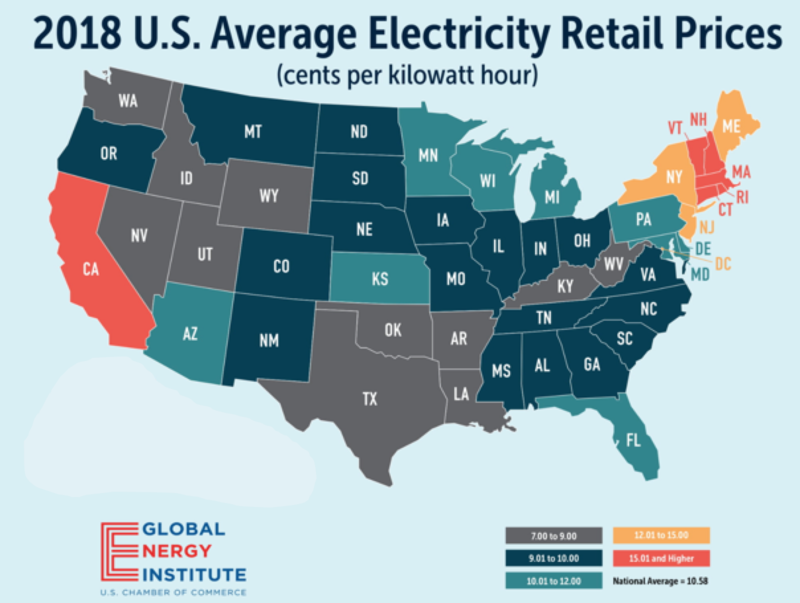 Though they love to claim renewables will lower cost, the test regions the northeast with RGGI and California show the opposite is true. 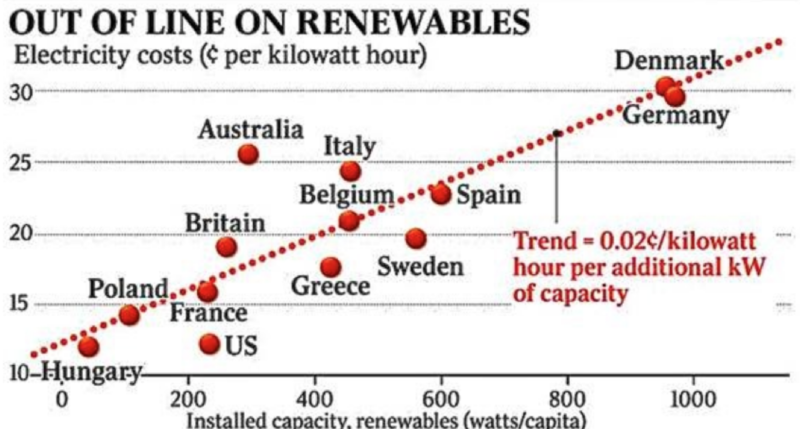 See the heavy renewable countries worldwide are paying much higher prices. The renewables are unreliable and brownouts and blackouts are an issue, forcing them to rush build coal plants to keep their lights on. Here we have become energy net producer and have the cleanest air. of a two part series on Hudson Cable TV that covered the same ground. Part II is on extremes and impacts of badly thought out plans to address a non-problem. It is in final edit and will be linked to later this upcoming week. We are working on the set and technology, so expect future versions to go smoother in the next shows. Today’s climate change is well within the range of natural climate variability through Earth’s 4.5 billion-year history. In fact, it is within the range of the climate change of the last 10,000 years, a period known as the Holocene, 95% of which was warmer than today. Indeed, it is now cooler than the Holocene Optimum, which spanned a period from about 9,000 to 5,000 years ago. The Optimum was named at a time when warming was understood to be a good thing in contrast to the miserable cold times that periodically cripple mankind. A small group fooled the world into believing that warming is bad and that today’s weather is warmer than ever before, all caused by the human addition of a relatively trivial amount of carbon dioxide (CO2) to the atmosphere. It is the biggest lie ever told, and that reason alone caused many to believe. The comments relate to a big lie in a nation-state, but it, like the big lie about climate, was intended to achieve global status. Goebbels applied the big lie of Nazism with its ultimate goal of a Third Reich to rule the world for a thousand years. The UN created the big lie of global warming because it identified the enemy - industry and capitalism - while threatening the world with a potential global disaster. This supposed threat exceeded the ability of any individual nation-state to ‘solve,’ and that dictated the need for a world government. This is why the human-caused global warming lie was created by and perpetuated through the UN. - It is warmer now than ever before. - There is more severe weather now than ever before. - CO2 levels are the highest ever. - Arctic and Antarctic sea ice levels are the lowest ever. - Extinction rates are the highest ever. - Polar bear populations are in serious decline. - Sea levels are rising at an increasing rate. The big difference between the global warming lie and Goebbels’ big lie concept is that an open mechanism of changing government prevents the perpetuation of the climate lie. The Trump administration has proposed to establish a Presidential Commission on Climate Security, headed by former Princeton physicist Will Happer, to expose the climate lie by disclosing how the IPCC only examined human causes of climate change. They will show how natural climate change completely overwhelms any human effect. For example, human production of CO2 is less than the uncertainty in the measurement of the transfer of CO2 from two natural sources: the oceans, and vegetation and land. In other words, if we removed all the people from the planet, a scientist left behind to measure the CO2 levels would not detect any difference. The ultimate lie is that members of the IPCC community are telling us the truth about the dangers of man-made climate change. In 1998, Kyoto Protocol supporter professor Tom Wigley estimated that, even if we met all the Kyoto reduction targets, it would only lower temperatures by 0.05C by 2050. After the Paris Agreement, Danish Statistician Bjorn Lomborg calculated that, if fully implemented, Paris would reduce the global temperature by 0.048C by 2100. And neither of these people question the politically-correct but scientifically-flawed view that CO2 is driving climate change. Goebbels noted that the state can only maintain the lie as long as it can shield people from the economic consequences. Clearly, that is no longer possible as the costs of achieving such inconsequential results becomes better known. The first group to do this thoroughly and objectively was the U.S. Senate. They realized that they would soon be required to consider the Kyoto Protocol. Rather than vote on it directly, they created the Byrd/Hagel Resolution which stated that America shouldn’t be a signatory to any agreement based on the UN Framework Convention on Climate Change (UNFCCC) that would seriously damage the U.S. economy and didn’t include emission reductions for developing countries that were similar to those imposed on the U.S. Like the 2015 Paris Agreement, the 1997 Kyoto Protocol was based on the UNFCCC and had the potential to seriously damage the U.S. economy, while not holding developing countries to emission reductions similar to those imposed on America. That’s why Senators from across the aisle unanimously endorsed Byrd/Hagel, and why former President Bill Clinton never submitted the Kyoto Protocol to the Senate for ratification. Even though the Senators were not questioning the big lie about CO2 and climate change in 1997, they saw clearly that action on any climate treaty or agreement by the U.S. did not justify the economic costs or job losses. And today’s Paris Agreement costs are also extraordinary. Based on estimates produced by the Stanford Energy Forum and the Asia Modeling Exercise, the costs are forecast to be $1 - 2 trillion every year. It’s time for today’s Democrats to be as practical as their Congressional forebears. Dr. Timothy Ball is Chief Science Advisor of the Ottawa, Canada-based International Climate Science Coalition. Dr. Ball a renowned environmental consultant and award-winning former climatology professor at the University of Winnipeg, Manitoba, where he founded and directed the Rupertsland Research Centre. Tom Harris is Executive Director of the Ottawa, Canada-based International Climate Science Coalition. He has 40 years experience as a mechanical engineer/project manager, science and technology communications professional, technical trainer and S&T advisor to a former Opposition Senior Environment Critic in Canada’s Parliament. The latest fake news on climate change suggests that scientists are copying as much US climate data as possible, because they fear the data might be wiped out under the Trump administration. The misleading article doesn’t account for the past three decades of corrupt climate data from politicized activist scientists, who may be getting the boot from the incoming administration. If anything, those scientists should be deleting the data to cover their behinds, not copying it. The recent fake news headline, “Scientists are frantically copying US climate data fearing it might vanish under Trump,” would pose major problems for the scientists, if it were true. Government employees, who protect government data by transferring it into private servers, would be committing the same federal crime that plagued Hillary Clinton’s campaign efforts. Among the shocking revelations from 2009’s Climategate emails was the destruction of raw temperature data, by scientists who were supposed to maintain it. At the admission Phil Jones, a Climatic Research Unit member at the University of East Anglia, original raw data had not been kept due to storage availability. That seems more inline with something corrupt scientists would be inclined to do, opposed to preserving data. The Competitive Enterprise Institute launched a lawsuit over climategate because the EPA’s climate policies rely on the data that had been destroyed. It’s typical to see the climate alarmist establishment freaking out over a Trump presidency; they are now at risk of having their lies exposed. Donald Trump is in no mood to show mercy to those who have manipulated raw temperature data to exaggerate global warming. Climate alarmists are claiming that the Trump administration won’t look after the data. A Trump advisor has called for NASA to return to its roots, and focus solely on space exploration, not climate research. NASA’s focus on climate research was a bureaucratic overreach for the aeronautic space administration. Trump’s transition team has sent an inquiry to the Department of Energy asking for the names of employees who are associated with climate change. The incoming administration wants to know which members have been attending annual global climate talks hosted by the United Nations, which department workers have attended meetings regarding the social cost of carbon, which employees receive the highest salaries, and which websites were maintained, or contributed to, by lab staff during scheduled work hours. The questioning of the Department of Energy shows that Trump administration is preparing to do good work. Since the left-wing considers climate change to be among the highest of government priorities and a threat to national security, they should be happy to see Trump’s team making those inquiries. UPDATE: We have updated the top 10 alarmist claims and added one on the recent nonsense that agriculture yields will collapse with continued change. See them here. My philosophy when I taught college was to show my students how to think - not what to think. As Socrates said, “Education is the kindling of a flame, not the filling of a vessel.” I told my students that data is king, and models are only useful tools. 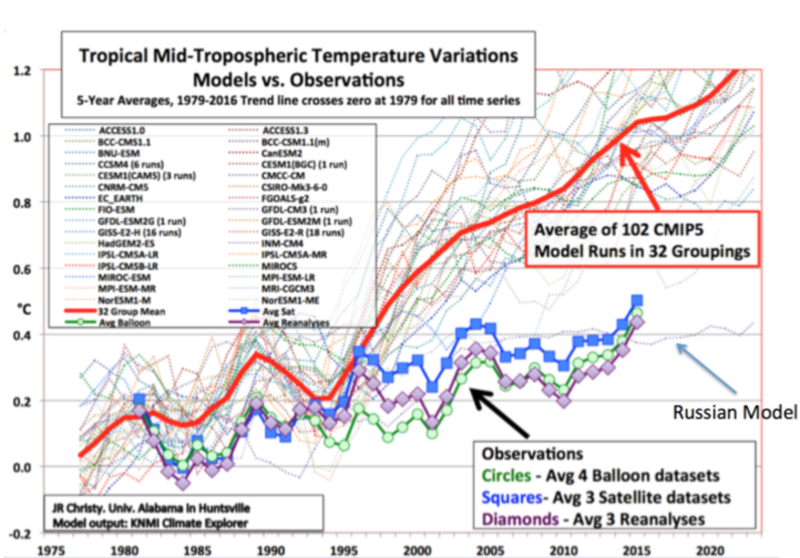 Any model’s output or any theory needed to be examined and validated using data, and must always used with caution. We have found no evidence here and here and even more here and here) that any of the claims are right. More than twenty years ago I was one of a dozen or so activists who founded Greenpeace in the basement of the Unitarian Church in Vancouver. The Vietnam war was raging and nuclear holocaust seemed closer every day. We linked peace, ecology, and a talent for media communications and went on to build the world’s largest environmental activist organization. By 1986 Greenpeace was established in 26 countries and had an income of over $100 million per year. In 1986 the mainstream of western society was busy adopting the environmental agenda that was considered radical only fifteen years earlier. By 1989 the combined impact of Chernobyl, the Exxon Valdez, the threat of global warming and the ozone hole clinched the debate. All but a handful of reactionaries joined the call for sustainable development and environmental protection. Whereas previously the leaders of the environmental movement found themselves on the outside railing at the gates of power, they were now invited to the table in boardrooms and caucuses around the world. For environmentalists, accustomed to the politics of confrontation, this new era of acceptance posed a challenge as great as any campaign to save the planet. For me, Greenpeace is about ringing an ecological fire alarm, waking mass consciousness to the true dimensions of our global predicament, pointing out the problems and defining their nature. Greenpeace doesn’t necessarily have the solutions to those problems and certainly isn’t equipped to put them into practice. That requires the combined efforts of governments, corporations, public institutions and environmentalists. This demands a high degree of cooperation and collaboration. The politics of blame and shame must be replaced with the politics of working together and win-win. It was no coincidence that the round-table, consensus-based negotiation process was adopted by thousands of environmental leaders. It is the logical tool for working in the new spirit of green cooperation. It may not be a perfect system for decision-making, but like Churchill said about democracy, “It’s the worst form of government except for all the others”. A collaborative approach promises to give environmental issues their fair consideration in relation to the traditional economic and social priorities. Some environmentalists didn’t see it that way. Indeed, there had always been a minority of extremists who took a “No Compromise in Defense of Mother Nature” position. They were the monkey-wrenchers, tree-spikers and boat scuttlers of the Earth First! and Paul Watson variety. Considered totally uncool by the largely pacifist, intellectual mainstream of the movement, they were a colorful but renegade element. Since its founding in the late 60’s the modern environmental movement had created a vision that was international in scope and had room for people of all political persuasions. We prided ourselves in subscribing to a philosophy that was “trans-political, trans-ideological, and trans-national” in character. For Greenpeace, the Cree legend “Warriors of the Rainbow” referred to people of all colors and creeds, working together for a greener planet. The traditional sharp division between left and right was rendered meaningless by the common desire to protect our life support systems. Violence against people and property were the only taboos. Non-violent direct action and peaceful civil disobedience were the hallmarks of the movement. Truth mattered and science was respected for the knowledge it brought to the debate. Now this broad-based vision is challenged by a new philosophy of radical environmentalism. In the name of “deep ecology” many environmentalists have taken a sharp turn to the ultra-left, ushering in a mood of extremism and intolerance. As a clear signal of this new agenda, in 1990 Greenpeace called for a “grassroots revolution against pragmatism and compromise”. As an environmentalist in the political center I now find myself branded a traitor and a sellout by this new breed of saviors. My name appears in Greenpeace’s “Guide to Anti-Environmental Organizations”. Even fellow Greenpeace founder and campaign comrade, Bob Hunter, refers to me as the “eco-Judas”. Yes, I am trying to help the Canadian forest industry improve its performance so we might be proud of it again. As chair of the Forest Practices Committee of the Forest Alliance of B.C. I have lead the process of drafting and implementing the Principles of Sustainable Forestry that have been adopted by a majority of the industry. These Principles establish goals for environmental protection, forest management and public involvement. They are providing a framework for dialogue and action towards improvements in forest practices. Why shouldn’t I make a contribution to environmental reform in the industry my grandfather and father have worked in for over 90 years? It’s not that I don’t think the environment is in deep trouble. The hole in the ozone is real and we are overpopulating and overexploiting many of the earth’s most productive ecosystems. I believe this is all the more reason to hang on to ideas like freedom, democracy, internationalism, and one-human-family. Our species is probably in for a pretty rough ride during the coming decades. It would be nice to think we could maintain a semblance of civilization while we work through these difficult times. Two profound events triggered the split between those advocating a pragmatic or “liberal” approach to ecology and the new “zero-tolerance” attitude of the extremists. The first event, mentioned previously, was the widespread adoption of the environmental agenda by the mainstream of business and government. This left environmentalists with the choice of either being drawn into collaboration with their former “enemies” or of taking ever more extreme positions. Many environmentalists chose the latter route. They rejected the concept of “sustainable development” and took a strong “anti-development” stance. Surprisingly enough the second event that caused the environmental movement to veer to the left was the fall of the Berlin Wall. Suddenly the international peace movement had a lot less to do. Pro-Soviet groups in the West were discredited. Many of their members moved into the environmental movement bringing with them their eco-Marxism and pro-Sandinista sentiments. * It is anti-human. The human species is characterized as a “cancer” on the face of the earth. The extremists perpetuate the belief that all human activity is negative whereas the rest of nature is good. This results in alienation from nature and subverts the most important lesson of ecology; that we are all part of nature and interdependent with it. This aspect of environmental extremism leads to disdain and disrespect for fellow humans and the belief that it would be “good” if a disease such as AIDS were to wipe out most of the population. * It is anti-technology and anti-science. Eco-extremists dream of returning to some kind of technologically primitive society. Horse-logging is the only kind of forestry they can fully support. All large machines are seen as inherently destructive and “unnatural”. The Sierra Club’s recent book, “Clearcut: the Tragedy of Industrial Forestry”, is an excellent example of this perspective. “Western industrial society” is rejected in its entirety as is nearly every known forestry system including shelterwood, seed tree and small group selection. The word “Nature” is capitalized every time it is used and we are encouraged to “find our place” in the world through “shamanic journeying” and “swaying with the trees”. Science is invoked only as a means of justifying the adoption of beliefs that have no basis in science to begin with. * It is anti-organization. Environmental extremists tend to expect the whole world to adopt anarchism as the model for individual behavior. This is expressed in their dislike of national governments, multinational corporations, and large institutions of all kinds. It would seem that this critique applies to all organizations except the environmental movement itself. Corporations are criticized for taking profits made in one country and investing them in other countries, this being proof that they have no “allegiance” to local communities. Where is the international environmental movements allegiance to local communities? How much of the money raised in the name of aboriginal peoples has been distributed to them? How much is dedicated to helping loggers thrown out of work by environmental campaigns? How much to research silvicultural systems that are environmentally and economically superior? * It is anti-trade. Eco-extremists are not only opposed to “free trade” but to international trade in general. This is based on the belief that each “bioregion” should be self-sufficient in all its material needs. If it’s too cold to grow bananas—too bad. Certainly anyone who studies ecology comes to realize the importance of natural geographic units such as watersheds, islands, and estuaries. As foolish as it is to ignore ecosystems it is absurd to put fences around them as if they were independent of their neighbors. In its extreme version, bioregionalism is just another form of ultra-nationalism and gives rise to the same excesses of intolerance and xenophobia. * It is anti-free enterprise. Despite the fact that communism and state socialism has failed, eco-extremists are basically anti-business. They dislike “competition” and are definitely opposed to profits. Anyone engaging in private business, particularly if they are successful, is characterized as greedy and lacking in morality. The extremists do not seem to find it necessary to put forward an alternative system of organization that would prove efficient at meeting the material needs of society. They are content to set themselves up as the critics of international free enterprise while offering nothing but idealistic platitudes in its place. * It is anti-democratic. This is perhaps the most dangerous aspect of radical environmentalism. The very foundation of our society, liberal representative democracy, is rejected as being too “human-centered”. In the name of “speaking for the trees and other species” we are faced with a movement that would usher in an era of eco-fascism. The “planetary police” would “answer to no one but Mother Earth herself”. * It is basically anti-civilization. In its essence, eco-extremism rejects virtually everything about modern life. We are told that nothing short of returning to primitive tribal society can save the earth from ecological collapse. No more cities, no more airplanes, no more polyester suits. It is a naive vision of a return to the Garden of Eden. As a result of the rise of environmental extremism it has become difficult for the public, government agencies and industry to determine which demands are reasonable and which are not. It’s almost as if the person or group that makes the most outrageous accusations and demands is automatically called “the environmentalist” in the news story. Industry, no matter how sincere in its efforts to satisfy legitimate environmental concerns, is branded “the threat to the environment”. Let me give you a few brief examples. In 1995, Shell Oil was granted permission by the British Environment Ministry to dispose of the oil rig “Brent Spar” in deep water in the North Sea. Greenpeace immediately accused Shell of using the sea as a “dustbin”. Greenpeace campaigners maintained that there were hundreds of tonnes of petroleum wastes on board the Brent Spar and that some of these were radioactive. They organized a consumer boycott of Shell service stations, costing the company millions in sales. German Chancellor Helmut Kohl denounced the British government’s decision to allow the dumping. Caught completely off guard, Shell ordered the tug that was already towing the rig to its burial site to turn back. They then announced they had abandoned the plan for deep-sea disposal. This angered British Prime Minister, John Major. it remains to this day. Independent investigation revealed that the rig had been properly cleaned and did not contain the toxic and radioactive waste claimed by Greenpeace. Greenpeace wrote to Shell apologizing for the factual error. But they did not change their position on deep-sea disposal despite the fact that on-land disposal will cause far greater environmental impact. During all the public outrage directed against Shell for daring to sink a large piece of steel and concrete it was never noted that Greenpeace had purposely sunk its own ship off the coast of New Zealand in 1986. When the French government bombed and sunk the Rainbow Warrior in Auckland Harbour in 1985, the vessel was permanently disabled. It was later re-floated, patched up, cleaned and towed to a marine park where it was sunk in shallow water as a dive site. Greenpeace said the ship would be an artificial reef and would support increased marine life. The Brent Spar and the Rainbow Warrior are in no way fundamentally different from one another. The sinking of the Brent Spar could also be rationalized as providing habitat for marine creatures. It’s just that the public relations people at Shell are not as clever as those at Greenpeace. And in this case Greenpeace got away with using misinformation even though they had to admit their error after the fact. In March, 1996, the International Panel on Forests of the United Nations held its first meeting in Geneva. The media paid little attention to what appeared to be one more ponderous assemblage of delegates speaking in unintelligible UNese. As it turned out, the big story to emerge from the meeting had nothing to do with the Panel on Forests itself. In what has become a common practice, The World Wide Fund for Nature (WWF) chose to use the occasion of the UN meeting as a platform for its own news release. The WWF news release, which was widely picked up by the international media, made three basic points. They claimed that species were going extinct at a faster rate now than at any time since the dinosaurs disappeared 65 million years ago. They said that 50,000 species were now becoming extinct each year due to human activity. But of most significance to the subject of forests, WWF claimed that the main cause of species extinction was “commercial logging”, that is, the forest industry. They provided absolutely no evidence for this so-called fact about logging and the media asked no hard questions. The next day newspapers around the world proclaimed the forest industry to be the main destroyer of species. Since that announcement I have asked on numerous occasions for the name of a single species that has been rendered extinct due to forestry, particularly in my home country, Canada. Not one Latin name has been provided. It is widely known that human activity has been responsible for the extinction of many species down through history. These extinctions have been caused by hunting, the conversion of forest and grassland to farming and human settlement, and the introduction of exotic diseases and predators. Today, the main cause of species extinction is deforestation, over 90% of which is caused by agriculture and urban development. Why is WWF telling the public that logging is the main cause of species extinction? While I do not wish to guess at the WWF’s motivation, it is instructional to consider the question from a different angle. That is, if forestry does not generally cause species extinction, what other compelling reason is there to be against it? Surely the fact that logging is unsightly for a few years after the trees are cut is not sufficient reason to curtail Canada’s most important industry. Despite the WWF’s failure to support its accusations, the myth that forestry causes widespread species extinction lives on. How can a largely urban public be convinced that this is not the case? The challenge is a daunting one for an industry that has been cast in the role of Darth Vadar when it should be recognized for growing trees and providing wood, the most renewable material used in human civilization. I don’t mean to pick on Greenpeace but they are close to my heart and have strayed farther from the truth than I can tolerate. In this case the issue is chlorine, an element that is used in a wide variety of industrial, medical, and agricultural applications. In 1985 Greenpeace took up the campaign to eliminate chlorine from all industrial processes, to essentially remove it from human use despite its enormous benefits to society. The basis of the campaign was the discovery that the use of chlorine as a bleaching agent in the pulp and paper industry resulted in the production of minute quantities of dioxin, some of which ended up in waste water. The industry responded quickly and within five years of the discovery had virtually eliminated dioxins by switching to a different form of chlorine or eliminating chlorine altogether. The addition of secondary treatment resulted in further improvements. Independent scientists demonstrated that after these measures were taken, pulp mills using chlorine had no more environmental impact than those that used no chlorine. Did Greenpeace accept the science? No, they tried to discredit the scientists and to this day continue a campaign that is based more on fear than fact. Its as if chlorine should be banned from the periodic table of elements altogether so future generations won’t know it exists. This critique of radical environmentalism is nowhere more appropriate than in the present debate over managing our forests and manufacturing forest products. Human management of forests is portrayed as somehow “unnatural”. As mentioned before, horse-logging appeals to the extremists because it uses less technology. My response to this idea is that it would make more sense for the city people to use horses to get their 150 pound bodies to work in the morning and let the loggers have the engines from their cars so they can move the heavy loads in the forest. I suppose this is a result of my twisted country perspective. For Greenpeace the zero chlorine campaign was just the beginning. Now Greenpeace Germany is leading a campaign for a global ban on clearcutting in any forest. They want lumber and paper manufacturers to use a label that states their product is “clearcut-free”. Canada has been chosen as the target for consumer boycotts because it uses clearcutting in forestry. It doesn’t matter that the world’s most knowledgeable silviculturists believe that clearcutting is the most appropriate form of harvesting in many types of forest. It doesn’t matter that most forestry in Germany is by the clearcut method, they want to boycott us anyway. What matters is that it makes a good fundraising campaign in Europe. The public is unaware of the basic flaws in the Greenpeace campaign to end clearcutting worldwide. They do not realize that there is no clear definition of the term “clearcutting” and that Greenpeace refuses to engage in a dialoque to determine the precise nature of what it is they are opposed to. It is also not widely realized that there is no such thing as a supply of pulp and paper that is “clearcut-free”. The practice of clearcutting is so widespread that it would be impossible to obtain a supply of wood chips that came from forests where only single-tree selection forestry is practiced. Perhaps the most cynical aspect of the Greenpeace campaign is their assertion that forests are clearcut in British Columbia to make tissue paper and toilet paper for Europeans. They use the slogan “When you blow your nose in Europe you are blowing away the ancient forests of Canada” to imply that Europeans could save Canadian forests if they would stop buying tissue made from Canadian pulp. Everyone who has studied Canadian forestry, including Greenpeace, knows that the pulp and paper industry in British Columbia is based entirely on the waste products of the saw milling industry. The forests are harvested to supply high value solid wood for furniture, interior woodwork and construction. Only the wastes from making lumber and those logs that are unsuitable for saw milling are made into pulp. If we did not make pulp from these wastes they would have to be burned or left to rot as was the case in the past. Rather than promoting unilateral boycotts that are based on misinformation and coercion, organizations like Greenpeace should recognize the need for internationally accepted criteria for sustainable forestry and forest products manufacturing. Through dialogue and international cooperation it would be possible to achieve agreement and end the unfair practice of singling out an individual nation for sanctions. Unfortunately they have now joined in the effort to spoil an International Convention on Forests. Their reasons for opposing a convention are not valid and amount to a transparent front for a strong anti-forestry attitude. It is not reasonable to expect the environmental movement to drop its extremist agenda overnight. The rise of extremism is a major feature of the movement’s evolution and is now deeply embedded in its political structure. We can hope that as time passes the movement will be retaken by more politically centrist, science-based leaders and that the extreme wing will be marginalized. At the same time, we must remember that most of the larger environmental groups such as the World Wildlife Fund, Greenpeace, the Sierra Club, the Natural Resources Defense Council etc. do have many members and campaign teams that are reasonable and based on good science. It’s just that for the time being, major elements of their organizations have been hi-jacked by people who are politically motivated, lack science, and are often using the rhetoric of environmentalism to promote other causes such as class struggle and anti-corporatism. The only way industry can successfully help to promote a more pragmatic and reasonable environmental movement is to prove that it is willing and able to avoid future damage to the environment and to correct past abuses. In other words, if your house is in order, there will be little or nothing for extremists to use as a reason for taking an essentially “anti-industry” position. The challenge for environmental leaders is to resist the path of ever increasing extremism and to know when to talk rather than fight. To remain credible and effective they must reject the anti-human, anarchistic approach. This is made difficult by the fact that many individuals and their messengers, the media, are naturally attracted to confrontation and sensation. It isn’t easy to get excited about a committee meeting when you could be bringing the state to its knees at a blockade. The best approach to our present predicament is to recognize the validity of both the bioregional and the global visions for social and environmental sustainability. Issues such as overpopulation and sustainable forest practices require international agreements. Composting of food wastes and bicycle repairs are best accomplished locally. We must think and act both globally and locally, always cognizant of impacts at one level caused by actions at another. Extremism that rejects this approach will only bring disaster to all species, including humans. Before even thinking about squandering one hundred trillion dollars on an insane economy-collapsing Green New Deal premised upon an end-of-world climate catastrophe, let’s take a very hard look at the so-called “settled science” nonsense. The Trump White House plans to convene a National Security Council review panel headed by Princeton emeritus professor of physics Dr. Will Happer to do exactly that. One of the loudest, shrillest, most unsettled voices of protest against science scrutiny is emanating from Dr. Michael Mann, the author of a cobbled-together and thoroughly debunked “hockey stick” graph first used by the IPCC and Al Gore to gin up the climate Armageddon alarm. A March 20 article co-authored by Mann and Bob Ward in The Guardian equated the planned NSC panel to Stalinist repression. Accordingly, a great place to begin this investigation is to revisit scandalous Climategate email exchanges between members of Mann’s hockey team along with readily available public records I have previously written about in numerous Forbes and Newsmax articles. Yet friendship aside, Mann’s hockey shtick graph co-author Raymond Bradley clearly drew the line regarding another research paper jointly published by Mann and colleague Phil Jones at the University of East Anglia. By “reputable,” Mann is obviously referring to publishers that exclusively post research papers endorsed by the Climate Crisis Cartel and its IPCC sponsors. Top cyclone expert Christopher Landsea demanded that the IPCC refute Trenberth’s scientifically unsupportable but highly publicized claim of a global warming-hurricane link following a deadly 2004 Florida storm season. Receiving no response, Landsea resigned as an invited 2007 IPCC report author. I understand your angst about where your rebounding hockey puck may wind up. As our children skip school to chant climate alarmist slogans, you may wonder “Where do they get this stuff?” Of course they get some of it from their teachers, but these teachers get a lot of it via the U.S. Federal Government. The sad fact is that a number of federal agencies either maintain or fund websites that specifically exist to push alarmist teaching materials. In many cases these alarmist materials are also federally funded. The Trump Administration has done very little to stem this flow of propaganda to our children. 1. Climate Literacy and Energy Awareness Network (CLEAN). Bills itself as A collection of 700+ free, ready-to-use resources rigorously reviewed by educators and scientists. Suitable for secondary through higher education classrooms. CLEAN is funded by grants from the National Oceanic and Atmospheric Administration, the National Science Foundation and the Department of Energy. The USGCRP is funded by 13 federal agencies. It also produces the hyper-alarmist National Climate Assessments. Alarmist materials for teachers, beginning in elementary school. 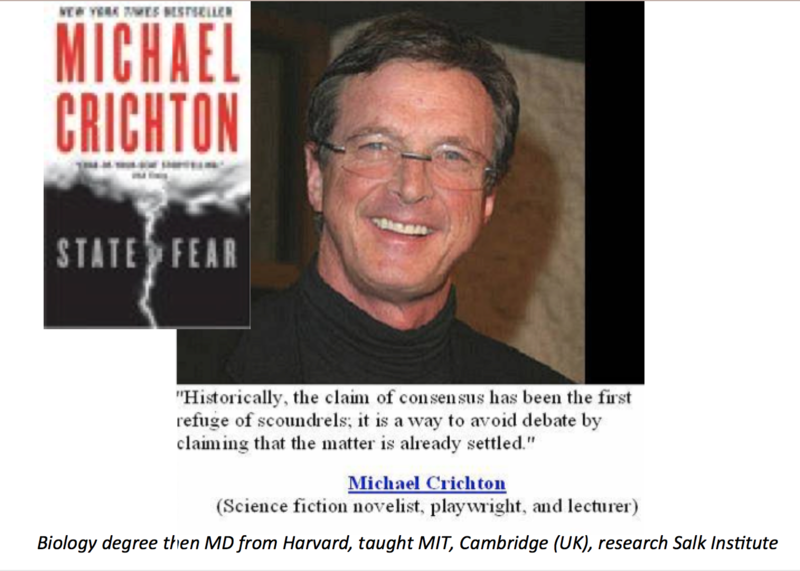 Carleton is another massive alarmist site that includes both teaching teachers how to teach alarmism and classroom materials for doing so. 7. ”Climate Change Live” with many federal “partners”. CCL advertises itself as a “distance learning” site. 8. ”Climate Change Activities” from UCAR, sponsored by NSF. UCAR is a consortium of universities that runs NSF’s multi-billion dollar National Center for Atmospheric Research. 9. ”Climate and Global Change” by the National Earth Science Teachers Association, sponsored by NASA and NOAA. 10. 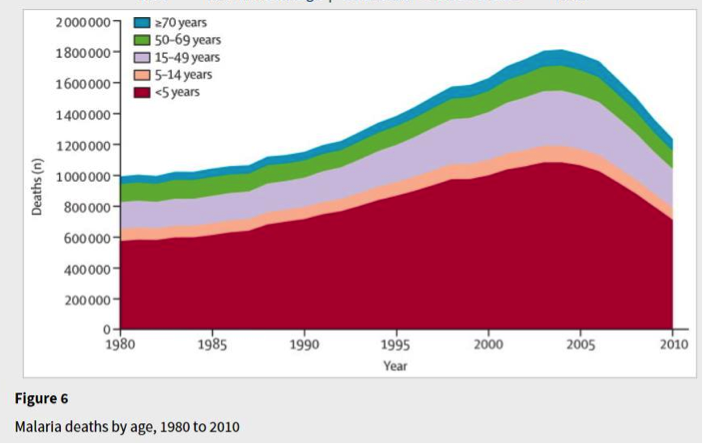 ”Climate Change” from AAAS, sponsored by NSF. 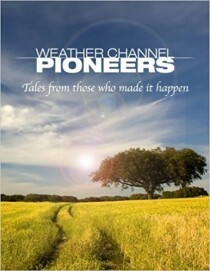 Includes alarmist material for all grades, including kindergarten. 11. ”Climate Change and Human Health Lesson Plans” by the National Institute of Environmental Health Sciences, NIH. Promotes various health scares based on climate change alarmism. In contrast to these federal propaganda sites, there is at this time no website that focuses on teaching children about skepticism and the real scientific debate over climate change. It is no wonder that they believe false alarmism. Yes, it is disappointing that President Trump has not been able to change some of the outrageous behavior of federal government agencies. The climate propaganda programs need to stop NOW. Our local American Meteorological Society chapter still references the NASA climate propaganda site as their authority for hysteria, based on repeated recommendations from Phil Mote’s OCCRI at Oregon State University. But I think that the Oregon AMS at least suspects that it may not be a good way to argue science. Unfortunately, none of the officers of the local chapter have adequate training in science to be able to distinguish real from fake science, especially when the fake science is promoted by a young woman, Kathy Dello, who works for Mote. Neither the President nor the Vice President of the chapter have formal training in meteorology. Yet President Steve Pierce keeps referring to himself as a “meteorologist,” when presenting the weather on local TV. Propagandizing children is simply wrong, VERY WRONG. Children need to be taught how to think not what to think. Climate science provides a wonderful opportunity to teach children how science really works and how to resist the overwhelming propaganda that they will be told is the Real McCoy. Yet most of the arguments in favor of Catastrophic Anthropogenic Global Warming insist that people believe in the coming apocalypse, because 97% or 99% or all scientists do. What nonsense! Why do you suppose they do that in lieu of the evidence? That’s easy. They don’t have convincing evidence! All they have is a vague correlation between rising atmospheric carbon dioxide and slightly rising atmospheric temperatures since World War Two. Although atmospheric CO2 apparently rose continuously during this period, the global temperature anomaly only rose for two of the seven decades and only after a notable shift in the Pacific Ocean called the Great Pacific Climate Shift of 1977. Could our oceans be responsible for the shift? Sure! It is easy to show that our oceans contain 99 to 99.9% of the mobile heat on this planet. But what about the infallible ‘Climate Models’ that are supposed to be able to predict our climate out a century using mathematical methods similar to weather models? With weather models barely accurate out a week, it should seem preposterous that the similar climate models work out to 5,200 weeks! And indeed the climate models badly fail verification tests. It is especially criminal to involve children in the climate fraud. Global usage of natural gas continues to grow rapidly. Methane and propane are essential low-cost, non-polluting fuels for heating, cooking, industrial use, and generation of electrical power. But states in New England, New York, and some nations seek to curtail the use of natural gas. From 1965 to 2017, world natural gas consumption increased almost six-fold, from 631 billion cubic meters to 3.7 trillion cubic meters per year. Gas use in North America doubled, increased in Europe by a factor of 14, and skyrocketed in Asia Pacific by a factor of more than 100. Gas became the primary fuel for heating and cooking in developed nations and a major fuel for industry and electricity generation across the world. In 2017, natural gas delivered 23 percent of the world’s energy, up from about 15 percent in 1965. Today gas provides nine times as much global energy as wind and solar combined. Natural gas, or methane, is a clean-burning fuel, free of nitrous oxides, sulfur dioxide, soot, and other pollutants. Water vapor is the largest waste product from methane combustion. But New England states have decided to curtail the use of gas to reduce greenhouse gas emissions. Connecticut, Maine, Massachusetts, New Hampshire, New York, Rhode Island, and Vermont now pursue decarbonization targets to reduce emissions 75-85 percent by 2050. These states’ “strategic electrification” policy calls for eliminating natural gas and propane from home and water heating applications by substituting electric appliances and heat pumps that can use wind and solar systems. A 2015 survey by the US Department of Energy found that 58 million US residences use natural gas as the primary heating fuel. An additional 11 million homes use propane, fuel oil, or kerosene. Natural gas and other hydrocarbon fuels heat about 58 percent of US homes. Gas use is even higher in New England, with hydrocarbons the primary fuel for over 80 percent of one to four family homes. Elimination of natural gas and propane for heating will be costly for New England residents. A 2017 study by the New York State Energy Research and Development Authority found that only four percent of the state’s heating, ventilation, and air conditioning load could cost-effectively switch to heat pumps. To force a transition away from natural gas, New England policymakers have blocked construction of new gas pipelines. The Constitution Pipeline, a project to bring gas from the shale fields in Pennsylvania to the pipeline network in Schoharie County, NY, is one of many examples. This pipeline continues to be stalled after receiving a construction permit from the Federal Energy Regulatory Commission in 2014. Because of insufficient gas pipeline capacity, New England now faces critical shortages. In January, utility Con Edison announced a moratorium on new natural gas customers in Westchester County, New York. That same month, Holyoke Gas & Electric of Massachusetts also announced that it can no longer accept new natural gas service requests due to a lack of supply. 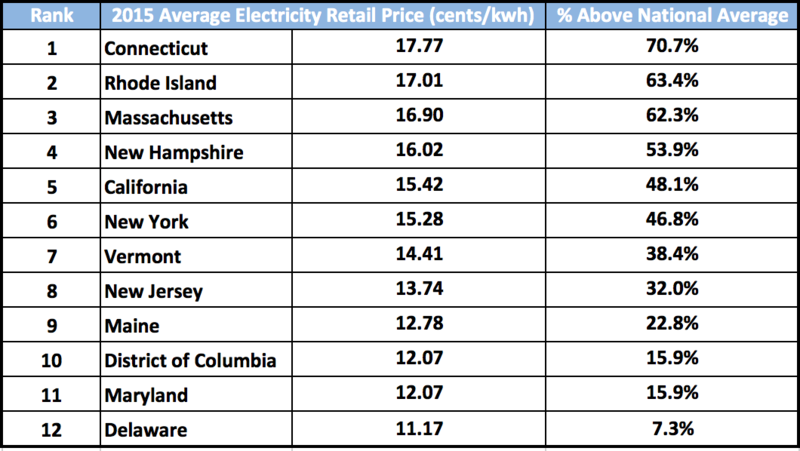 New England residents pay high prices for heating and electricity, particularly in winter months. Shortages during weeks of severe cold push residential gas prices up by as much as 400 percent. Power plants are forced to use expensive oil fuel, with gas reserved for home heating. Oil provided almost one-quarter of New England’s electricity during the severe cold at the end of December, 2017. New England policies contrast sharply with those of most of the country. US natural gas main and service distribution pipelines grew 80 percent from 1984 to 2016 and continue to expand in most states. In an extreme case, in 2017 the government of Netherlands called for elimination of all natural gas usage by 2050. Despite the fact that 90 percent of Dutch homes are heated by natural gas, the government proposed that 170,000 gas lines would be disconnected every year, to be replaced by geothermal and heat pump systems. Last year Amsterdam announced a phase-out of natural gas in favor of more “sustainable” sources of energy. In contrast to efforts to curtail gas use in New England and Netherlands, global shipments of liquefied natural gas (LNG) are exploding to help satisfy growing demand. World LNG trade increased 12 percent in 2017, 10 percent last year, and is projected to increase by another 11 percent in 2019. There is no evidence that restrictions on New England usage will have a measurable effect on world demand for natural gas, or the slightest effect on global temperatures. 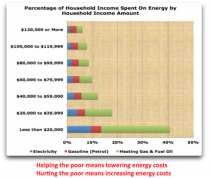 But misguided government energy policies will raise prices for New England residents. Japan and South Korea remain the world’s largest importers of liquefied natural gas, with LNG demand growing fastest in China, South Korea, and Pakistan. LNG supply growth is dominated by shipments from Australia and the fracking fields of the United States. Steve Goreham is a popular speaker on the environment, business, and public policy. He is author of the influential primer, Outside the Green Box: Rethinking Sustainable Development, and other books on energy and the environment. Astrophysicist Dr. Willie Soon really does get sick when he sees scientists veering off their mission: to discover the truth. I’ve seen his face flush with shock and shame for science when scientists cherry-pick data. It ruins his appetite - a real downer for someone who loves his food as much as Willie does. Willie Soon may one day be a household name. More and more he appears at the pointy end of scientific criticism of Climate Apocalypse. In two recent lawsuits against Big Oil, one by New York City and the other by San Francisco and Oakland, Dr. Soon is named as the “paid agent” of “climate change denialism.” As the man who - Gasp! - singlehandedly convinced Big Oil to continue business as usual. The IPCC - along with the United Nations and many environmentalist organizations, politicians, bureaucrats and their followers - desperately want to halt and even roll back development in the industrialized world, and keep Africa and other poor countries permanently undeveloped, while China races ahead. They want Willie silenced. We the people need to make sure he is heard. Even the IPCC initially indicated agreement with him, citing his work approvingly in its second (1996) and third (2001) Assessment Reports. That later changed, significantly. Sure, everyone agrees that the sun caused the waxing and waning of the ice ages, just as solar scientists say. However, the sun had to be played down if carbon dioxide (CO2) was to be played up - an abuse of science that makes Willie sick. Only the sun - not the CO2 from our fires - could cause that Earth-Mars synchronicity. And surely it is no mere coincidence that a grand maximum in solar brightness (Total Solar Irradiance or TSI) took place in the 1990s as both planets’ ice caps shrank, or that the sun cooled (TSI decreased) as both planets’ ice caps grew once again. All that brings us back to Dr. Soon’s disagreements with the IPCC. The IPCC now insists that solar variability is so tiny that they can just ignore it, and proclaim CO2 emissions as the driving force behind climate change. But solar researchers long ago discovered unexpected variability in the sun’s brightness - variability that is confirmed in other stars of the sun’s type. Why does the IPCC ignore these facts? Why does it insist on spoiling Willie’s appetite? It sure looks like the IPCC is hiding the best findings of solar science so that it can trumpet the decreases in planetary warming (the so-called “greenhouse effect") that they embed in the “scenarios” (as they call them) emanating from their computer models. 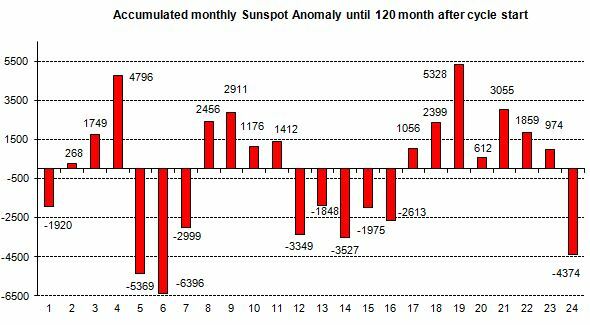 Ignoring the increase in solar brightness over the 80s and 90s, they instead enthusiastically blame the warmth of the 1990s on human production of CO2. In just such ways they sell us their Climate Apocalypse - along with the roll-back of human energy use, comfort, living standards and progress: sacrifices that the great green gods of Gaia demand of us if we are to avoid existential cataclysms. Thankfully, virgins are still safe - for now. Surely Willie and solar scientists are right about the primacy of the sun. Why? Because the observable real world is the final test of science. 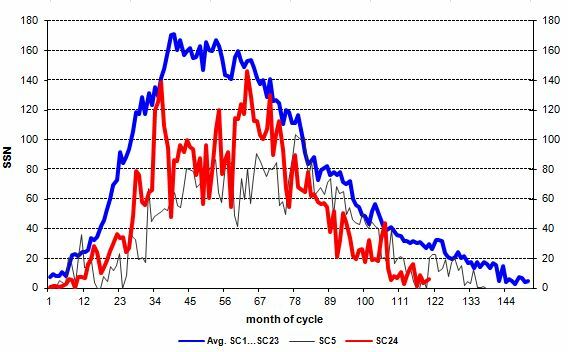 And the data - actual evidence - shows that global temperatures follow changes in solar brightness on all time-scales, from decades to millions of years. On the other hand, CO2 and temperature have generally gone their own separate ways on these time scales. IPCC modelers still insist that the models are nevertheless correct, somehow - that the world would be even colder now if it weren’t for this pesky hiatus in CO2-driven warming. Of course, they have to say that - even though they previously insisted the Earth would not be as cool as it is right now. Unlike the IPCC, Willie and I cannot simply ignore the fact that there were multiple ice ages millions of years ago, when CO2 levels were four times higher than now. And even when CO2 and temperature do trend in tandem, as in the famous gigantic graph in Al Gore’s movie, the CO2 rises followed temperature increases by a few centuries. That means rising CO2 could not possibly have caused the temperature increases - an inconvenient truth that Gore doesn’t care about and studiously ignores. I’m frightened by the dangers to Willie, his family and his career, due to his daily battles with the Climate Apocalypse industry. I can’t get it out of my mind that the university office building of climatologist John Christy - who shares Willie’s skepticism of Climate Apocalypse - was shot full of bullet holes last year. But let’s not let a spattering of gunfire spoil a friendly scientific debate. Right? In March the Heartland Institute fired a big broadside right into the teaching of climate change alarmism in America’s schools. They began sending Why Scientists Disagree About Global Warming directly to many of the Nation’s science teachers. Of course the alarmists went nuts, especially Sen. Sheldon “jail the skeptics” Whitehouse, who denounced Heartland’s bold move in a series of letters to various education groups. Our project will establish a website portal that collects and distributes materials to teach about the climate debate. Once established and given sufficient funding we will also produce new teaching materials. The long term goal is to build a collection that systematically addresses all of the important climate science issues at the appropriate grade levels. Our target audience is not just teachers, but parents, friends of students and the students themselves. There are presently a lot of alarmist websites offering one-sided classroom materials teaching the false dogma of dangerous human induced climate change. That this alarmism is highly debatable is nowhere to be seen on these websites. So we want to counter these alarmist websites with one that teaches about the real debate, between alarmism and realistic skepticism. Both the Federal government and many advocacy groups maintain websites that distribute alarmist climate teaching materials. These materials teach that dangerous human induced climate change is settled science, which is far from true. For example, the CLEAN website is funded jointly by NOAA, NSF and DOE. CLEAN stands for Climate Literacy and Energy Awareness Network. In fact “climate literacy” is code for the false belief that humans are causing dangerous climate change. CLEAN says it has over 600 free, ready to use resources suitable for use in secondary and higher education classrooms. They also boast that they are the core of the “Teaching Climate” part of the federal Climate.gov website. This is Government bias targeting children. All of CLEAN’s teaching materials are biased and based on this false premise. The reality is that dangerous human influence on climate is completely unproven and the subject of intense scientific debate. That only the scary side is being presented as settled science is a severe lack of balance. These lesson plans need to be tailored to the state standards, which typically dictate what topics are taught in which grades. There are numerous specific scientific issues that need to be taught at different grade levels. Each potential lesson needs to be simple and compact, designed to fit into the mandated curriculum. Moreover, each lesson must stand alone, because teaching time is limited. Our handouts will be something that a parent or student can bring to class. It is normal for students to bring supplementary materials to class, especially when the topic is controversial. In the case of climate change, surveys have also shown that parents often become involved. As with the lesson plans, these handouts will be highly focused, nonpolitical, and tailored to a specific grade level. Since they will be online they can easily be emailed as well. Thus the gatekeepers cannot prevent their distribution. There are three distinct target audiences - teachers, parents and students. Teachers need lesson plans, which are relatively specialized documents. Students need materials written at their grade level. Parents need non-technical information that they can explain to their children or use to confront a gatekeeper. Of course teachers and non-parents can use this information as well. The website will be organized in such a way that each group can find what they need. Global Warming: The National Oceanic and Atmospheric Administration may have a boring name, but it has a very important job: It measures U.S. temperatures. Unfortunately, it seems to be a captive of the global warming religion. Its data are fraudulent. What do we mean by fraudulent? How about this: NOAA has made repeated “adjustments” to its data, for the presumed scientific reason of making the data sets more accurate. Nothing wrong with that. Except, all their changes point to one thing - lowering previously measured temperatures to show cooler weather in the past, and raising more recent temperatures to show warming in the recent present. This creates a data illusion of ever-rising temperatures to match the increase in CO2 in the Earth’s atmosphere since the mid-1800s, which global warming advocates say is a cause-and-effect relationship. The more CO2, the more warming. But the actual measured temperature record shows something different: There have been hot years and hot decades since the turn of the last century, and colder years and colder decades. But the overall measured temperature shows no clear trend over the last century, at least not one that suggests runaway warming. That is, until the NOAA’s statisticians “adjust” the data. Using complex statistical models, they change the data to reflect not reality, but their underlying theories of global warming. That’s clear from a simple fact of statistics: Data generate random errors, which cancel out over time. So by averaging data, the errors mostly disappear. That’s not what NOAA does. According to the NOAA, the errors aren’t random. They’re systematic. As we noted, all of their temperature adjustments lean cooler in the distant past, and warmer in the more recent past. But they’re very fuzzy about why this should be. Far from legitimately “adjusting” anything, it appears they are cooking the data to show a politically correct trend toward global warming. Not by coincidence, that has been part and parcel of the government’s underlying policies for the better part of two decades. What NOAA does aren’t niggling little changes, either. So the global warming scare is basically a hoax. 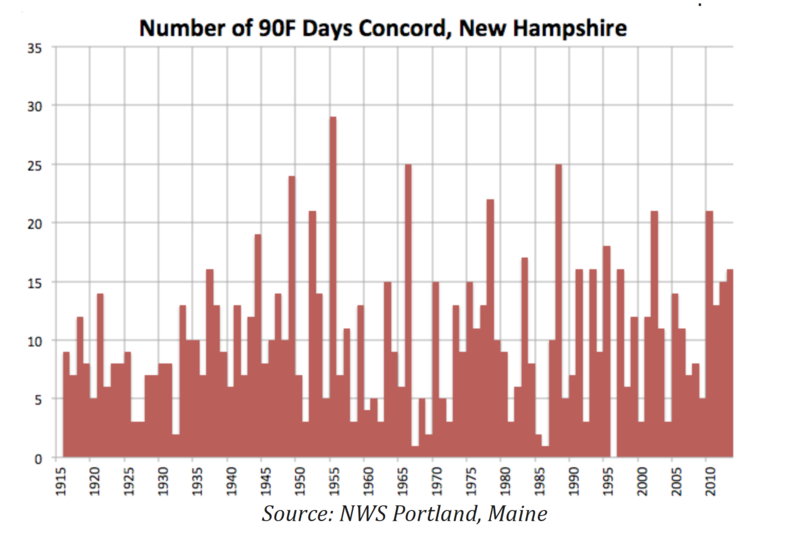 This winter, for instance, as measured by temperature in city after city and by snow-storm severity, has been one of the coldest on record in the Northeast. But after the NOAA’s wizards finished with the data, it was merely about average. 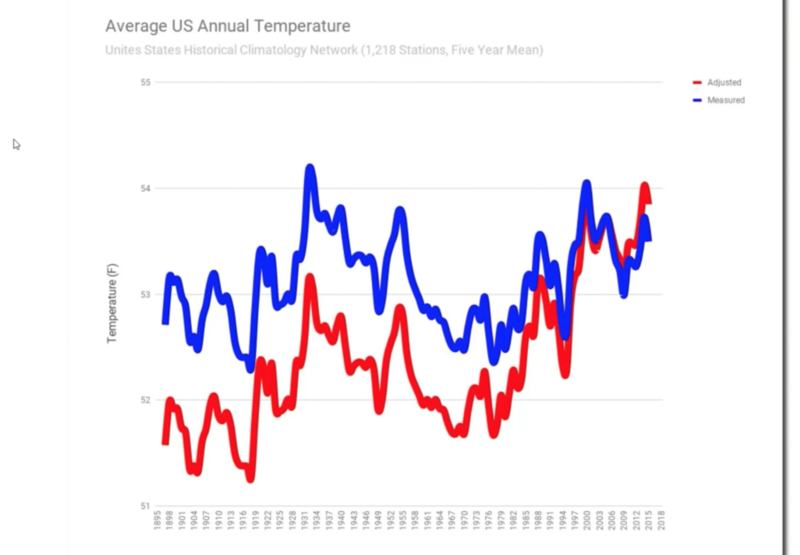 Climate analyst Paul Homewood notes for instance that in New York state, measured temperatures this year were 2.7 degrees or more colder than in 1943. Not to NOAA. Its data show temperatures this year as 0.9 degrees cooler than the actual data in 1943. By the way, a similar result occurred after the brutally cold 2013-2014 winter in New York. It was simply adjusted away. Do this year after year, and with the goal of radically altering the temperature record to fit the global warming narrative, and you have what amounts to climate fraud. That’s the big question. And for those who think that government officials don’t have political, cultural or other agendas, that’s naivete of the highest sort. They do. Since the official government mantra for all of the bureaucracies at least since the Clinton era is that CO2 production is an evil that inevitably leads to runaway global warming, those who toil in the bureaucracies’ statistical sweat shops know that their careers and future funding depend on having the politically correct answers - not the scientifically correct ones. There are at least some signs of progress, however. In the case of the Environmental Protection Agency, future reports and studies will include the data and the underlying scientific assumptions for public scrutiny. That’s one way to bring greater honesty to government - and to keep climate charlatans from bankrupting our nation with spurious demands for carbon taxes and deindustrialization of our economy to prevent global warming. The only real result won’t be a cooler planet, but rather mass poverty and lower standards of living for all. London, 3 April: The World Meteorological Organisation (WMO) is misleading the public by suggesting that global warming and its impacts are accelerating. In fact, since 2016 global average temperature has continued to decline. That’s according to Norwegian Professor Ole Humlum whose annual review of the world’s climate is published today by the Global Warming Policy Foundation. In 2018, the average global surface temperature continued a gradual descent towards the level characterising the years before the strong 2015/16 El Nino episode. Since 2004, when the Argo floats came into operation, the global oceans above 1900m depth have on average warmed somewhat. The maximum warming (between the surface and 120 m depth) mainly affects oceans near the equator, where the incoming solar radiation is at a maximum. In contrast, net cooling has been pronounced for the North Atlantic since 2004. Data from tide gauges all over the world suggest an average global sea-level rise of 1- 1.5 mm/year, while the satellite record suggests a rise of about 3.2 mm/year. The large difference between the two data sets still has no broadly accepted explanation. The Northern Hemisphere snow cover extent has undergone important local and regional variations from year to year. The overall global tendency since 1972, however, is for overall stable snow extent. Tropical storm and hurricane accumulated cyclone energy (ACE) values since 1970 have displayed large variations from year to year, but no overall trend towards either lower or higher activity. The same applies for the number of hurricane landfalls in the continental United States, for which the record begins in 1851. A new study conducted by the independent grid operator in New England includes a stark warning for utilities, politicians and customers. While the United States has already become the world’s leading energy producer, ISO New England’s research shows that the region may have to rely on increasing amounts of imported liquefied natural gas (LNG) to meet its future power needs, even though it sits on the doorstep of one of the world’s largest natural gas fields. None of this should come as a surprise to those who have been following the energy debate in New England over the past few years. The region has seen closures of many of its coal and nuclear plants, making it increasingly dependent on natural gas generation. A lack of infrastructure has already led to residential electricity prices that are 44 percent higher than the U.S. average, and 62 percent higher for industrial users. New Englanders are also paying 29 percent more, on average, for natural gas. Of course, the irony is that neighboring states like Ohio and Pennsylvania sit above the Marcellus and Utica Shales, two of the world’s richest gas reserves. Unfortunately, an aggressive and well-funded campaign by extreme activists has fought against and prevented new pipeline projects that proposed to deliver this energy resource to New England markets. These misguided efforts have actually worked against regional environmental goals. While renewable sources of energy show great promise, they also require backup sources that must be quickly scaled up to meet peak demand and pick up the slack when the wind isn’t blowing or the sun isn’t shining. People still need fuel to heat their homes and power their businesses, schools, and hospitals. But because of a lack of infrastructure, rather than using cheaper and cleaner domestic fuel from neighboring states, New Englanders are forced to pay more to burn fuel oil and import higher-priced natural gas from overseas to meet their energy needs. Neither of these scenarios makes economic or environmental sense. New England needs modern infrastructure to compete. Energy infrastructure is no exception. We applaud the current administration’s focus on revamping our nation’s infrastructure, and hope New England is included. It’s time for state and local lawmakers to face reality and put consumers over extreme special interests to ensure affordable, reliable energy for all of their residents. Update: see the whole story behind the story in their own words in Global Warming Quotes & Climate Change Quotes: Human-Caused Global Warming Advocates/Supporters by C3 Headlines. We start with Mencken’s quotes because they are so well known from the past, but yet still so relevant so many years later. His past insights to those whose lives are addicted to the seeking of power, or control, or fame, or money is still as valid today, as it was 70 years ago. Below are quotes from the powerful; the rich; the religious; the studious; the famous; the fanatics; and, the aspiring, all sharing a common theme of keeping “the populace alarmed” to further their own personal, selfish goals. Once you read the below quotes, come back and re-read the previous paragraph. The threat to the world is not man-made global warming or climate change. The threat to the world, as is always the case, is a current group(s) of humans who want to impose an ‘Agenda’ based on their elite values and self-importance. The people below represent such a group, and they are not saints as individuals; in fact, quite the opposite, unfortunately. Maurice Newman, chairman of Tony Abbott’s business advisory council, says UN is using debunked climate change science to impose authoritarian rule. The Australian prime minister’s chief business adviser has accused the United Nations of using debunked climate change science to lead a new world order - provocative claims made to coincide with a visit from the top UN climate negotiator. Christiana Figueres, who heads the UN framework convention on climate change, touring Australia this week, urged the country to move away from heavily polluting coal production. Under Tony Abbott’s leadership, Australia has been reluctant to engage in global climate change politics, unsuccessfully attempting to keep the issue off the agenda of the G20 leaders’ summit in Brisbane last year. Maurice Newman, the chairman of Abbott’s business advisory council and a climate change sceptic with a history of making provocative statements, said the UN was using false models showing sustained temperature increases to end democracy and impose authoritarian rule. Figueres used an address in Melbourne to urge Australia to move away from coal, the country’s second-largest export, as the world grapples with global warming. “Economic diversification will be a challenge that Australia faces,” she said. Figueres also urged Australia to play a leading role at the climate summit in Paris in December, a call unlikely to be heeded given Abbott’s track record. It details John Cook’s fabrication of an unscientific ‘consensus’. Science is not decided by claims of consensus. Resorting to claims of consensus is unscientific and contradicts the scientific process. Fabricating false claims of scientific consensus is not honest. Science is decided by empirical scientific evidence. John Cook has repeatedly failed to provide any such evidence that use of hydrocarbon fuels is causing the entirely natural climate variability we experience. A succinct summary of John Cook’s fabrication of a consensus, and of the corruption of science upon which his claims rely and that is furthered by his claims, and of the empirical scientific evidence he blatantly contradicts, are discussed in pages 6-18 of my report to federal MPs Senator Simon Birmingham and Bob Baldwin. It is available at this link. My seven years of independent investigation have proven that there is no such empirical scientific evidence anywhere in the world. Climate alarm is unfounded and is a purely political construct pushing a political agenda. Please refer to Appendices 2, 6, 6a, 7 and 8 at this link. Further, John Cook and / or his employer are receiving funds in return for his deceiving the public, politicians and journalists and I’m wondering if that would make his work a serious offense. As you likely know, John Cook works closely with the university’s Ove Hoegh-Guldberg who reportedly has many serious conflicts of financial interest surrounding his false climate claims. These are discussed on pages 54-59 of Appendix 9 at this link and briefly on pages 16 and 17 of my report to Senator Birmingham and Bob Baldwin MP. I draw your attention to my formal complain dated Wednesday 10 November 2010 to the university senate about the work of Ove Hoegh-Guldberg misrepresenting climate and science. That was not independently investigated by then Vice Chancellor Paul Greenberg who was subsequently dismissed over another event, reportedly for a breach of ethics. My formal complaint is discussed on pages 57 and 58 of Appendix 9 at this link. Ove Hoegh-Guldberg’s responses to my request for empirical scientific evidence of human causation of climate variability have repeatedly and always failed to provide such evidence. This email is openly copied to both Ove Hoegh-Guldberg and John Cook and to reputable Australian scientists and academics expert on climate and to Viv Forbes an honours graduate in geology from our university. Viv Forbes understands the key facts on climate and on the corruption of climate science by beneficiaries of unfounded climate alarm perpetrated falsely by Ove Hoegh-Guldberg and John Cook. Please stop John Cook’s misrepresentations and restore scientific integrity to our university. I please request a meeting with you to discuss our university’s role in deceiving the public and to discuss restoring scientific integrity. I would be pleased for that meeting to be in the company of John Cook and Ove Hoegh-Guldberg if that suits you. Pages 19-26 of my report to Senator Birmingham and Bob Baldwin discuss the serious damage to our nation and to humanity and our natural environment worldwide as a result of unfounded climate alarm spread by our university’s staff. I hope that you will fulfill your responsibility for investigating and ending such corruption. To neglect to do so will mean that you condone such damage and dishonesty. I seek confidence that you will restore the university’s scientific integrity and look forward to your reply. The following is a list of 97 articles that refute Cook’s (poorly conceived, poorly designed and poorly executed) 97% “consensus” study. The fact that anyone continues to bring up such soundly debunked nonsense like Cook’s study is an embarrassment to science. See the list here. See Dr. Doug Hoyt’s Greenhouse Scorecard on Warwick Hughes site here. DENIER: Anyone who suspects the truth. The less intelligent alarmists have written a paper allegedly connecting the scientists to Exxon Mobil. Here is the detailed response from some of the featured scientists. Note that though this continues to be a knee jerk reaction by some of the followers, there is no funding of skeptic causes by big oil BUT Exxon has funded Stanford warmists to the tune of $100 million and BP UC Berkeley to $500,000,000. Climategate emails showed CRU/Hadley soliciting oil dollars and receiving $23,000,000 in funding.